In situations such as changing your place of residence, you must submit a certified translation for your diploma if it has been issues in any other language than English. This is true in case of immigration or transfer to another school where you will need to have your certificate or diploma translated into the language of the country you live in at that moment or plan to go to for your studies. USA Translate is able to help you in this area by providing you a certified translation of your certificate or diploma with a quick and efficient as well as an absolutely accurate translation from over 120 languages into English. The most important thing to keep in mind is that all translations should be implemented in compliance with the world standards from all educational institutions, both in the US and towards all foreign embassies. The translation usually requires a professional translator who has past experience in translating this specific type of documents as certificates or diplomas and who can do it according to very high standards imposed by the institution requiring that translation. This will serve you as educational documents when enrolling in a new school. The particularly important step in this process is the translation, which needs to be accurate, and its format, which needs to be the same with the original. The certificate of accuracy also needs to be fully completed according to standards. We guarantee that you will get professional diploma translation services, and your translation will be accepted anywhere in the US. We can also provide you with some more copies along with the original document at the same time, which will count as the original certificate or diploma translation. That means that your translation will also have a certificate of accuracy which will be signed and officially stamped by our general manager. We offer you an easy way to have your certificate or diploma translated, backed up by a certified translation. It can be delivered to your home, office, or simply emailed electronically to your email address. 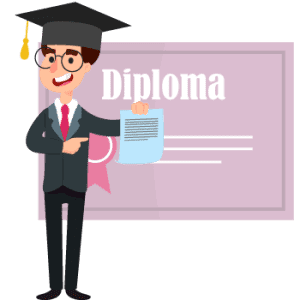 Another advantage of using us is that we provide free delivery for all the usual regular orders or emergency diploma translation services that need to be done and delivered fast. If you need diploma translation services, we can help you! Get in touch with us on live-chat, and you’ll receive a free quote in minutes! We have specialized, native translators for just about any language, ready to start working on your translation asap. No more waiting for days to get your certified translation. We are able to deliver the same day, at a great price! In which cases is there a need for verification of a transcript or diploma? Each year the number of foreign students in the USA grows, hence the need to verify their certificates and diplomas. 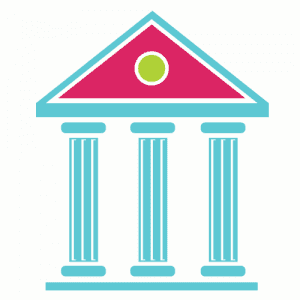 Many universities across the United States offer different opportunities and benefits for students, such as scholarships in various fields. If you want to take advantages of these benefits and apply as a student, you need a verification of diploma. This will prove your former level of education in your native country and provide you with the right to admission to secondary school or to continue education at the selected university as a student. If you want to improve your education with a higher degree as a Bachelor’s degree or Master’s degree you should do the same verification. A translated and certified diploma from the educational institution from your native country provides you with the right to continue your education at some educational institutions of the United States. In the case of a foreign university, in the evaluation of the translation there should be reserved titles, the number of hours for each course, your merits and success/fail results, both on average, and the overall results for assessing the level of education. It is for this purpose that you need a certified translation of your document to provide you with a better chance of ranking and the right to be part of the educational category you select. Diplomas, academic transcripts, PhD degree certificates, Master degree certificates, Bachelor degree certificates, extracurricular qualifications. What is the transcript and translation certified diploma? Confirmation that translation is accurate issued by the Office is a certified diploma. This document is verified and signed by the project manager. International certification, which is typically added to the official documents in a manner signed by a notary, lawyer or other authorized person as an officer of the court that it is performing its official duties, is an apostille. This establishes the legal order in other signatory countries and determines the morality through which this action is issued. Why Choose USA Translate for Your Diploma Translation? The translators we hired for your certified translation have a great experience of translating academic documents, transcripts, and diplomas to a high standard. We have a pool of skilled translators and proofreaders who work with these kinds of certificates day in day out and are on hand to make your project completed to deadline. Whatever language your educational certificates are in, we can provide you with the professionally certified diploma and certificate translation that you need. Our rates are very competitive and involve proofreading and official certification which determines that your documents will be signed and correctly stamped. You will also be allocated a dedicated project manager to conduct you through the process. 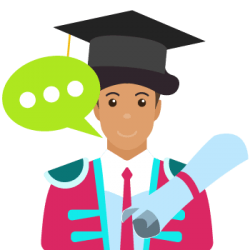 To be sure of the level of the academic certificate translation service you need, you should always check with the relevant university. At USA Translate, professional diploma translation services are offered by native translators who have enough knowledge of the local educational system and vocabulary and can translate your diploma precisely to the targeted language. If you need right diploma translation service at affordable rates, you can get to acknowledge your best translation rate by asking for a translation quote. Getting an accurate translation from a well-known translation company gives you peace of mind and the assurance that the translation will be accepted by the legal body requesting it. On top of that, you don’t have to pay more than the usual freelancer, actually, we sport some of the lowest rates in the market. Get in touch now and see what we can do for you! We all have sweet memories of our high school days. Giggling with friends, Spending time in the parks & cafeteria, crushing over a young and charming teacher and of course the exams. But then high schools are a phase of life, after which everyone begins to aim higher. A decision we all remain eager to make, yet still sometimes confused. But eventually, we all move on to the next part, getting admission to a university for higher studies. If you are planning to move to a university in Spain, you’ll need our diploma translation services. In fact, we would encourage you to translate them in advance. In that way, you’ll not have to rush and get worried over translations. Besides, if you get your translation earlier, you can learn quite a few important things to say in Spanish or at least understand them when you reach Spain or that particular university that you are accepted to. The most important part, you can leave a good impression of your Spanish in front of your classmates if they ask you to translate high school to Spanish, the right answer is, la escuela secundaria. Now what you have to do is just practice saying it like the real amigos do, and you are quiet good to go.